I have been a member of the Church of Jesus Christ of Latter-Day Saints my entire life. I grew up in a warm and loving home that encouraged correct gospel principles. For these two facts, I am eternally grateful (and undeserving). The gospel has always brought me happiness that I am seldom able to adequately describe, and though I have at times questioned, I have never doubted its verity and truth. Certain aspects of the gospel have come more easily- faith in my Savior Jesus Christ, personal prayer, tithing, self-reliance, church attendance, the Word of Wisdom… Others, however, have not come so easily. Despite the best efforts of my mom, an incredibly dedicated seminary teacher (Sister Herring, I will never forget you), and young women leaders, I never dedicated myself to reading the Book of Mormon as a youth. 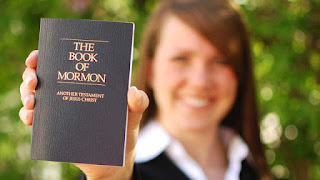 I knew then, as I know now, that by reading the Book of Mormon I would grow closer to my Savior and be guided to do what was right if I abided by the precepts found within its pages. I simply never made it a priority. During my young, single adult years, my efforts at personal scripture study improved but were still spotty. Later, after marrying and becoming a mother, one would think that reading the Book of Mormon every day while rearing my precious little children would have been made an obvious priority. Nope, more excuses. Fast forward eight years… I can’t tell you exactly what affected the change, but if my commitment to reading the Book of Mormon daily was lukewarm before it is definitely nearing hot now. I am still far from perfect, sometimes my mind wanders and I have to reread the same chapter, but I do read daily. This new habit of mine has brought about some changes in my life that are so precious I wouldn’t dare live without them again. I have been blessed with greater patience (not perfect patience, mind you), within in my home especially, because I feel so much closer to my Savior, Jesus Christ. What mother couldn’t use a little more patience? Along with this greater patience, has been clarity of mind to see situations with my children and others from a deeper perspective. I am able more patiently and quietly assess what and if action needs to be taken. I have a greater peace about who I am, and about Heavenly Father’s plan for me specifically. And finally, I feel as if all of these improvements are tied into the final, and most important change since my recommitment to reading the Book of Mormon daily… my ability to feel and recognize the presence and promptings of the Holy Ghost. I know the Spirit has always been present in my life, but it’s like by reading daily I have opened the valve to full blast, or cleared the traffic jam. Where before there was a trickle of water or a couple cars, there’s a full, steady stream and clear highway full of traffic zooming by. I have felt promptings so clearly that they’re unmistakably the Holy Ghost leading and guiding me. I know the Book of Mormon is true and its promises are sure. I would challenge anyone who desires to feel closer to the Savior and the Holy Ghost, to read it daily. Don’t make excuses as I did for so long, commit to reading daily and you will see marvelous changes in your life. They may not come immediately, (obedience before blessings) but they will come, and they will be life changing!